Want new patients who are already searching for your dental services? I offer SEO for dentists who want to remove uncertainty and replace it with transparency. If you’ve ever wondered how to tell the difference between an enthusiastic dental SEO expert and the myriads of SEO companies who cold email you, you’re in the right place. I created the first and only dental SEO course specifically for dental professionals like you, so that you can quickly and easily grasp fundamental SEO principles and help you gain new patients from search engines. The problem with most SEO strategies is that many SEO companies won’t take the time to explain whether or not they have a process in place. Frustrated with a lack of clear, cogent, actionable information on how to gain new patients from SEO, many dentists feel forced into hiring an SEO company in the hope that it might accomplish the goal of helping you rank highly on Google. I call this the “pay and pray” method of dental SEO. It’s one of the biggest dangers I see in modern SEO. Very few dental SEO companies teach their secret SEO techniques. Since you’re reading this page, you’ve probably dealt with an SEO company which invokes a trade secrets claim (or basically tells you in a roundabout way that you have no right to know what’s being done for your website’s SEO). You’ll never hear that kind of talk from me. I believe you have a right to know what’s being done for your SEO, why it will work, and how we’ll adapt to competitive variables. I like to think that I’m the one guy you can count on for mystery-free SEO. In fact, I have the first and only dental SEO course, where I’ll show you my exact step-by-step process which has helped dentists all over the world gain 30+ new patients per month from Google. Why don’t we see if your website is missing out on a flood of new patients? Patients who are using Google to search for your dental services (such as invisalign and dental implants). Patients who value comprehensive care. With my step-by-step SEO process, you’ll have full control of our collaborative SEO marketing strategy. Contact me today to learn more about the first step in my SEO process! Why choose Dental Marketing Guy for your SEO? You’ll never be in the dark about what I'm doing for you. I speak directly with Google's lead algorithm engineer, John Mueller. Before you pay a penny, I'll help you understand what SEO means to your bottom line. I believe in results. If we can’t tie SEO to increased production, we don’t need it. Search engines change. My SEO strategy adapts. I teach other SEO companies how to rank dental websites. If we’re a good fit to work together, you just tapped into the source. By hiring me, you’ll be one step ahead of other SEO companies. In a 6 month time frame, Renaissance Dentistry was earning up to 10 new patients per day from Google. Renaissance Dentistry found themselves investing in no other form of marketing (besides SEO). By having an attractive website with a message that Apex, NC loves, Renaissance Dentistry was able to dominate the Google search landscape. Renaissance was a purchased practice, and when the right time arrived, they decided to change their name to Hansen Dentistry. 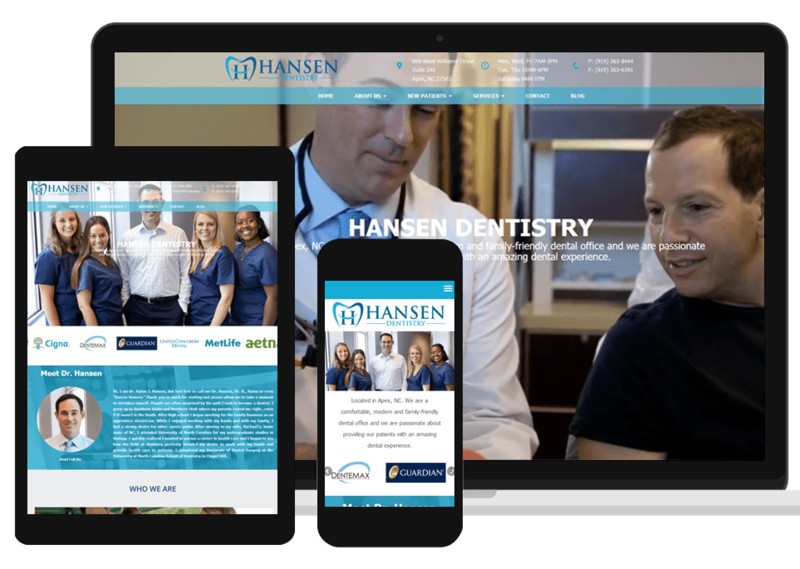 With a brand new domain name and brand to promote, Hansen Dentistry didn’t have the SEO firepower that the former domain name did. In fact, the search engine rankings for the new domain name were abysmal! We talked about this before making the move, and we expected this to occur. It was one of the assumed costs of re-branding to a name Hansen was proud of. The phone stopped ringing. The patients stopped calling. It was miserable! Within a few weeks, we saw upward movement in our Google rankings. Within 2 months, Dr. Hansen was back on page 1 of Google! Slowly, over the next couple months, this brand new domain name started delivering new patients again! With the new, refreshed brand name and logo, Hansen Dentistry began serving many new patients. This time, with the highest possible Google Rankings and a brand name that represents who they are! 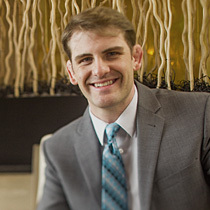 With no website, Dr. Farr was able to establish himself as the highest ranked dentist in Atascadero, California. We were able to create a website which has been cited by Dental Product Reports, Dental Town, Dentistry IQ, and many other relevant blogs. By demonstrating patient testimonials in a professional video, CK Far Dentistry was able to lift website conversions. Today, there are hardly any new patients who fail to mention the video as a reason why they felt most comfortable choosing this dentist from Google. What does success look like, and how do we get there? To watch a video of me velscoping your keywords, click here. One we’ve velscoped your keywords, we now know what other dental websites have accomplished in terms of the quality of content and links they’ve earned. Armed with this new data on the competition level in your area, we’ll put together a strategy on what kind of timeline and resources we’ll need to commit in order to help you gain new patients. 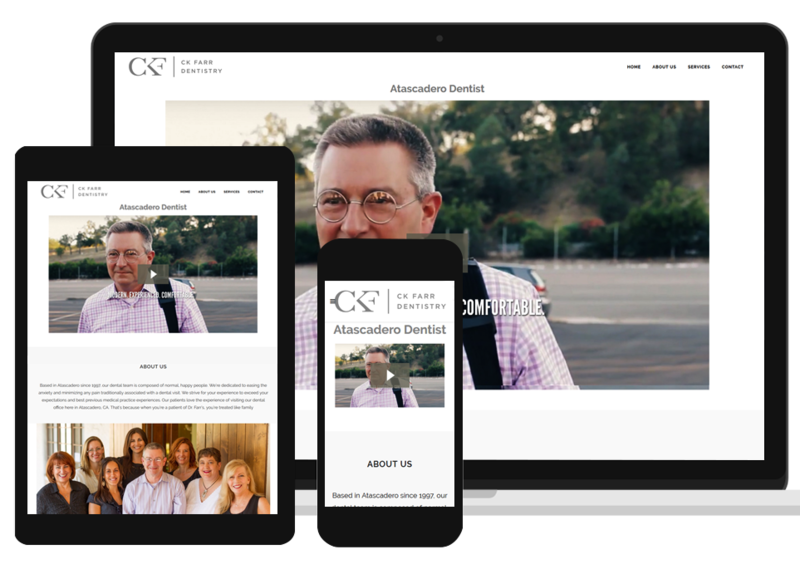 We’ll even go over a strategy on what makes your dental office unique, and form a website content creation plan. Now that we’ve formed a strategy which is the best fit for your existing resources and new patient goals, I go to work for you! Hi, I’m Justin. I’m known by most dental professionals as “DMG,” which is an acronym for “dental marketing guy.” I’m an SEO specialist who teaches dentists how to attract new patients from Google. What does that mean to you? It means I teach dental professionals how to become new patient magnets. I offer the first and only step-by-step dental SEO course. I teach dentists and marketing professionals alike about a variety of marketing topics which help you attract patients from search engines. I teach in exclusive groups on topics which are heavily guarded, as well as publicly available knowledge on dental websites you know and trust. I believe in transparency with my marketing techniques. Unlike many SEO companies, my goal is to help you understand SEO, why something has worked in the past, and why it may or may not work in the future. My goal is to do more than simply drive leads, but to teach you how and why different types of lead generation work. Is SEO for dental websites any different than SEO for non-dentists? SEO for dentists and SEO for websites which are not dental related is essentially the same in theory, but different in practice. One of the key differentiators for a dental SEO expert and a general SEO company is the niche-specific testing which has taken place. Knowing the psychology behind how and why people search for a dentist on Google can help craft the most effective SEO strategy for your dental practice. For instance, I’ve noticed that many times the highest ranking websites have earned links from places like dentaltown.com’s blog. By making sure we address the general SEO factors, and then augmenting them with a variety of over 101 dental SEO factors, we’re much more able to secure victory when compared to a general SEO agency which doesn’t have the relationships with Dental Town, Dentistry IQ, Dentistry Today, Dental Products Report, and myriads of other dental blogs. By focusing entirely on what dental patients are looking for in a dentist website, we can create the most compelling content in order to get (and keep) you ranked! Simply put, being connected with the dental and SEO industries, we’re in optimal position to help you gain new patients from Google. Why should I hire a dental SEO expert? When new dental patients are what you want, hiring someone familiar with dentistry marketing can be useful in tying SEO to increased production. By hiring a dental SEO expert who’s teachings are cited in the top marketing publications, you can be rest assured my SEO strategies stand up to peer-to-peer reviews. Other SEO companies may work for less money, but their techniques are often secret to you, and sometimes not capable of withstanding the same standard of peer-to-peer review. This can place your website and SEO rankings in jeopardy, which can result in your website being banned from search engine results. If you’re like many dentists I’ve talked to, you may be surprised to find that your SEO company is unable to identify what they actually did to boost your rankings. The message on your website needs to do more than convey a cohesive message which attracts new patients. It needs to be recognized by Google as unique and helpful, and even cite-worthy. Over the years, I’ve noticed that many psychological factors influence a prospective patient’s decision on whether or not to pick up the phone and call you. 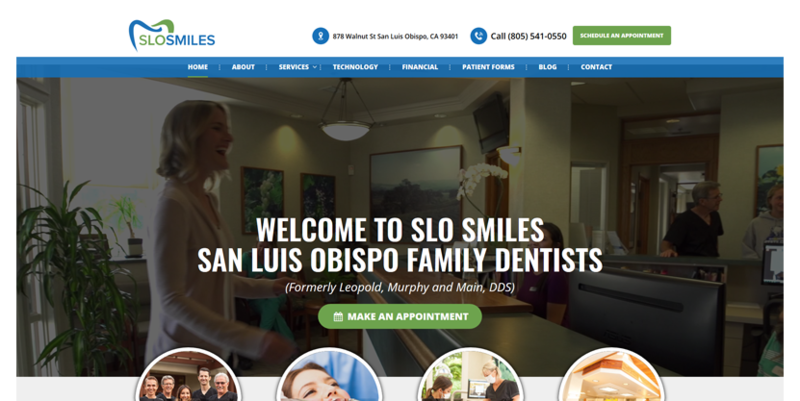 Optimizing your website’s content for human beings (not just search engines) is a cardinal rule in doing SEO for dentists. What are some dangers in hiring the wrong SEO agency? When hiring an SEO company, it’s very important to sustain careful research before investing in a particular company. Some SEO companies will tell you that they only engage in ethical, white hat SEO. White hat SEO involves a series of techniques which Google approves of. This might involve content creation that your patients appreciate (not spammy blogs that most dental websites have), building relationships with bloggers, journalists, and other influencers in dentistry who have the power to cite your dental website, and providing a user-friendly, engaging website that helps address the hidden concerns and objections people have to visiting the dentist. These would all be what Google’s algorithm engineers would deem as ethical, helpful SEO tactics. However, most SEO companies who refuse to say what kind of specific techniques they’d implement for you may be doing the exact opposite of “ethical, white hat SEO.” They may be engaged in what we in the SEO industry call “black hat SEO.” Black hat SEO is essentially a series of kaleidoscopic, short lived exploitations of loopholes in search engine’s algorithms. If these black hat SEO techniques are successful (they often aren’t), it is predominantly for a very short while. It can sometimes be difficult to revive a website which has been banned or penalized by Google, so your selection in choosing a white hat SEO company is paramount. Often deemed easier than doing things the right way, black hat SEO tactics are favored by many SEO companies who feel they’re being compensated too little for what they’re doing for you. This is why you may have heard of many complaints from dentists who hired an SEO company for prices which are too good to be true. Black hat SEO techniques can seriously harm your search engine presence. In the worst cases, you may wake up one day to find that Google has completely de-indexed your website from their search results (with no certain path to recovery). By choosing to work with a dental SEO specialist who has a reputation to uphold, you can avoid many (or all) of these hidden risks. Having an open line of communication with your SEO specialist is a key component of having reasonable expectations. Being at least minimally, periodically involved in approving the SEO techniques being implemented can spare you from taking any unknown risks. Having reasonable, flexible expectations that balance between timely results and long-lasting results is important. Finally, allowing yourself to calibrate your expectations according to trusted advice is probably the key path to victory in my SEO process. Sometimes things work faster than we’d expect, and sometimes I’ll need to bring in additional SEO experts to help us solve issues that are unique to your situation. Adaptation is the name of the game in SEO, and we may need to shift our focus from one SEO tactic to another. Is SEO an ongoing effort? Think of SEO as a footrace. If you’re the only entrant, you can’t lose. But, if you’re in the Olympics, you’re going to need to train hard and race smart to make the podium. SEO comes down to competition level. If you’re in a low-competition area where there are few dentists (and even fewer focused on SEO), then we can often set up a solid foundation for you and promote you at the #1 spot without any ongoing effort. However, if you’re in a competitive metropolis area, it would be naive to believe that you could outrank hundreds of other dental offices with a one-time effort. Identifying how competitive you are may be is a logical first step in our SEO process. This is where “velscoping your keywords,”the process where we find out how many people are using Google in your area, as well as what it will take to rank you, is the process which you should consider before hiring an SEO provider. Can I hire you, instead of taking your SEO course? Yes! I welcome you to contact me and schedule a 15, 30, or 60 minute phone call where we can see if we’re a good fit. Many dentists who contact me are just curious to learn the competition level in their area. For this SEO analysis, I hand you the blueprint to your SEO success. There is a fee for this comprehensive SEO analysis, but our first conversation is completely free of charge and carries no obligation! If you’re merely curious to learn a bit about how my SEO analysis works, feel free to check out my “velscoping your keywords” blog post. My SEO process involves an amalgam of both proven, time tested techniques, as well as cutting edge strategies that other dental practices are unaware of. The only way to see if SEO is the right fit for you is to have an introductory brainstorming session. For you busy dentists, I offer as much done-for-you SEO services as possible!